The following code is not mine, but from personnel within our company who really helped me out. Thanks Dan! We have a few reports built within SQL Reporting Services 2005. One of these reports lists financial information for our projects. A request was made to create a link between the project on the report, and the project’s folder within our DFS share. This is the custom code used on the report to produce those results. Depending on how folders are stored, it could be very useful for others as well. 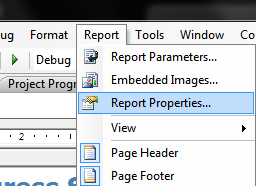 Clicking on that cell automatically opens the UNC path in Windows Explorer. Just solved a particularily troublesome issue that wasn’t obvious at first but makes sense now. 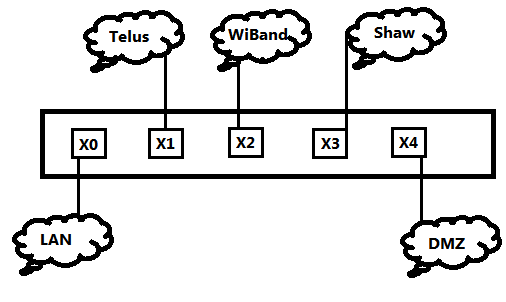 The WiBand connection is from a wireless ISP, connecting to a basestation about 1.5KM away. There is a client of ours across the street who is trying to access a website who’s DNS entry refers to the X3 interface provided by a Shaw IP address. They receive a strange “Oops, we could not reach that website” error page within Internet Explorer. I did an nslookup to make sure the DNS A record for the site was still correct, which it was. I used our external dial-up line to ensure that the site was up and available, which it was. Based on this, I suggested to my company contact dealing with the client that perhaps they are using a custom DNS provider who has an incorrect A record for our site, who is providing that custom error page. I then forget about the issue. The next day I get a call from the client’s IT department that the problem still exists. We run through some DNS troubleshooting, and determine that site is getting the right IP, but still getting the custom error page. I decide to check the error logs on my firewall, and the only thing of note is an “IP Spoof Detected” error. After asking what the source IP is from the problem site, it is confirmed that its the same IP as the ‘spoof’. Turns out the client across the street from us is also using WiBand for an ISP, and we’re connecting to the same basestation, in the same subnet. The HTTP request is coming in on X3, but the response can’t leave X3 destined for the client IP, since that range is on X2. So our firewall drops the packet. I had the gateway on this route originally set to OUR Shaw IP, but this was incorrect. 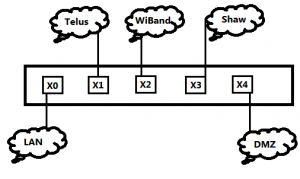 I suppose next step is to find out why WiBand has us on the same subnet, and whether they could use VLAN’s or something else to segregate us. It’s a little disappointing that we will be the guinea pigs for this, as I would have thought an ISP would have resolved these type of issues by now. 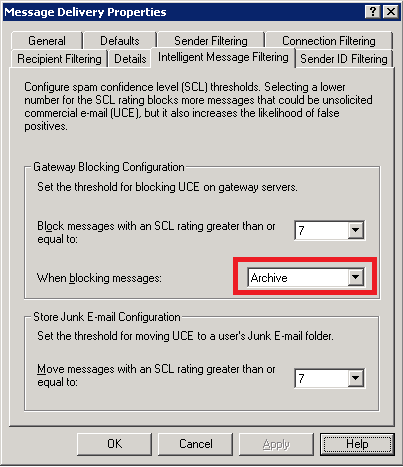 Using blacklists for spam protection in Exchange 2003 cuts down a lot of spam for my company. However, we decided to enable IMF to do even better. However, it is imperative these caught messages get monitored for false positives. We’re small enough that monitoring the IMF archive is reasonable, but it wasn’t immediately apparent how to do this. 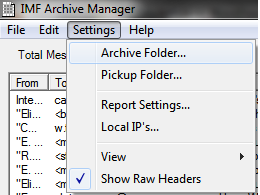 Set this to your archive location, and you should see it populated with the IMF messages. This gives you a safe way to view the spam and identify false positives. 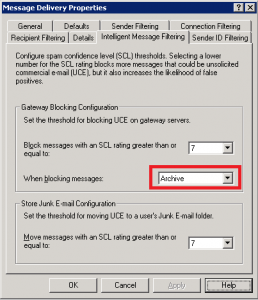 Once you have an .eml file, you may need to re-configure Outlook 2003 or Outlook 2007 to natively open them. Office 2010 appears to open these files properly. This information applies to at least Exchange 2003; I can’t verify any newer versions. Sometimes an item in Exchange has been perminently deleted, and doesn’t show up in “recover deleted items”. You can find these items through the OWA interface, if you have it enabled. 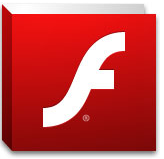 Paste this into IE, filling in the server name and user alias. This will show different results than what you would typically see using “Recover Deleted Items” from within Outlook.